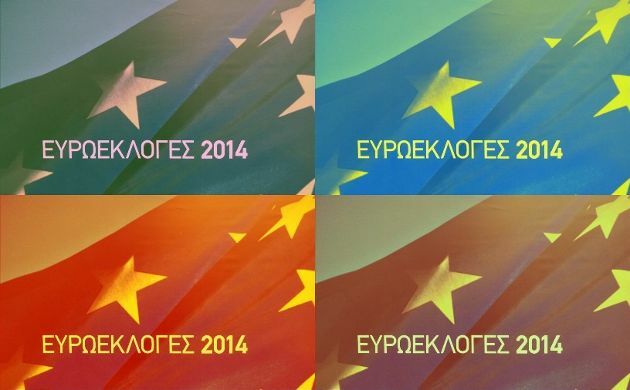 You are at: Home / Agora / Is post-election just pre-election in Greece? Is post-election just pre-election in Greece? Now that the ballots from Greece’s triple election marathon have been counted, the focus of debates is shifting towards policy implications, expected cabinet reshuffles and demands for yet more elections. Any observer of Greek politics in Berlin, Paris or Brussels would be at pains to comprehend what kind of post-election narrative this constitutes. Instead of venturing down this avenue, we want to inquire the following: What impact could the outcome of the elections in Greece have on member states of the eurozone and their strategic outlook on the country? After all, the agenda that the Eurogroup of finance ministers has to address with regard to Greece in the coming months includes a host of hot button issues. Their resolution will define key areas of policy making in Athens in the near future. The list of milestones to be achieved by the Greek authorities by end-June 2014 ranges from issues concerning pensions, spatial planning laws, adoption of the so-called “Small PPC law,” clearance of all general government arrears with regard to PPC and reducing the overall profit margin of pharmacies. The list is longer than these few examples. This is the to-do agenda that the regular review mission of the troika will check against to see if the Greek government is complying with the Second Economic Adjustment Programme. We should not forget that the last review mission took eight months to complete. Since the European part of the adjustment programme is scheduled to expire in July 2014, any repeat of such a review marathon would be hugely damaging for all domestic and international stakeholders involved. Moreover, the longer the review mission takes the more it risks to coincide with the most important issue on the agenda of the Greek authorities, namely the debt relief negotiations, which are expected to start in the autumn. Given that the debt migration of the past years has transformed the ownership structure of Greek sovereign debt from the private sector to the official creditors, these negotiations promise to be complex, controversial and above all will require a steady hand by all sides. But what happens to these milestones and the debt relief negotiations if constant speculation about the position of finance minister Yannis Stournaras endures, if the debate about the appointment of the governor of the Bank of Greece continues unabated? What policy makers in Berlin, Paris or Brussels, who have their own share of homework to do in the post-European Parliament election environment, need least right now is a continuous distraction from Greece about cabinet reshuffles or the politics of a permanent campaigning for early elections. The assumption by some observers in Athens that members of the eurozone might be more lenient in terms of debt relief negotiations now that the largest opposition party SYRIZA came so close to an electoral breakthrough may be a rather risky bet. The elections results do indeed affect the strategic calculations of eurozone policy makers towards Greece, but possibly in other ways than assumed in Athens. Most importantly, those responsible in Berlin, Paris and Brussels need to know who will be sitting at the other side of the table in Athens during the forthcoming review mission and later debt relief negotiations. This not only calls for an experienced hand in key ministries, but also the capacity to invest substantial amounts of political capital. Lame ducks on their way out do not meet this critical requirement. Furthermore, the issues on the table do not get any easier once the review mission is completed and debt relief negotiations are progressing. The Greek authorities and the two European members of the troika must decide if and in what manner they may want to continue their working arrangement. Although the European leg of the Second Economic Adjustment Programme is set to expire in mid-2014, any new Memorandum of Understanding seems unlikely, given how contaminated the term “MoU” has become over the course of the past four years in Greece. But this does not mean automatically that there will be no programme continuation in some other form and shape, with new tools, resources and compliance requirements. Clearly, such a new programme – for lack of a better word let’s call it a ‘cooperation agreement’ for the time being – would have to reflect the fact that the Greek authorities want it and its European partners are prepared to support it. Above all, ownership of such a cooperation agreement by Greek stakeholders would be the key precondition for a successful implementation. In light of the accumulated experience of the past four years, the importance of ownership and an inclusive approach as regards defining the circle of stakeholders (opposition parties included) cannot be underestimated. Given the spectacle of political combat in evidence in Athens before and after the European elections the demand from Berlin, Paris or Brussels that Greek political rivals have to become allies is a tall order. However, the complexity of the task demands it and a growing part of the Greek electorate is prepared to support such an approach. Mr. Bastien, it is clear that you are not a captured greek citizen whose business has had to close, whether professional or retail, due to collapse in demand. Whose long-owned fully paid home is not in danger of being confiscated through inability to pay ridiculous taxes due to slashed salaries or no salary, or one who, with no salary and no welfare safety net, still has children to feed, clothe educate - maybe from the street. Or who has paid 44 years of one of the highest social security tranches in Europe, but unable to pay now, is not covered in case of illness - and whose accumulated payments over the years - 188,000€ worth - are considered irrelevant now. So he, or one of his children, must simply die. The description I give above is not just for unskilled labour. It applies to scientists, PHDs, entrepreneurs, architects, engineers, doctors, and even economists who worked for banks. Yes, even people like you. And we are not stupid. We understand what is going on, with the ECB, with Scheuble and Merkel, with French and German banks. Etc. Etc. So really - we do not care what the troika thinks. And if you mention stakeholders and investors, we are only interested if you start naming names and connecting dots....and certainly NOT in your assumption that they and their demands are important, valid and reasonable: they are not. Yes, contracts have been signed in the greek taxpayers' names, though we have never been consulted about these policies - or even fully informed. And here you propose pushing more through while yet another non-consultative government still has a few weeks or even months of life left to collaborate with your 'investors & stakeholders' before the jig is up, and in the face of a clear 65% opposition to the government and its policies.